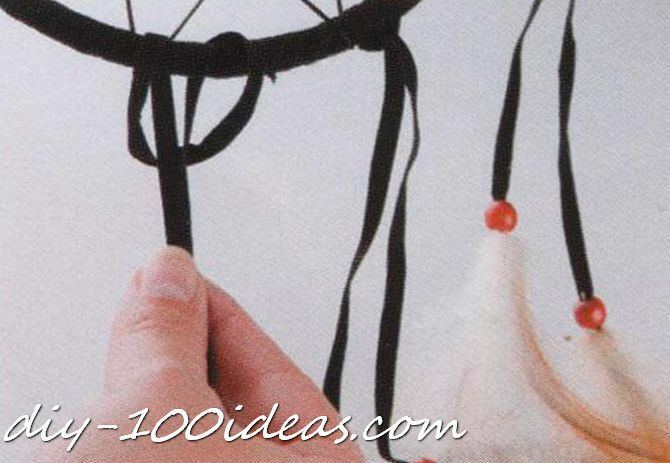 Dreamcatchers originated with the Ojibwe people, who wove these magical webs from willow hoops and sinew. 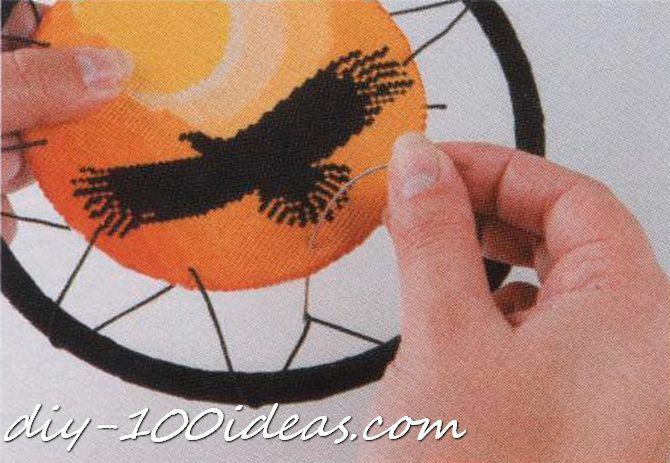 The hoop represents the travel of giizis, the sun, through the sky. At night, the hole in the center only lets bawedjige, good dreams, pass. Bawedjigewin, bad dreams, are trapped in the web, and dispelled at the first light of morning. 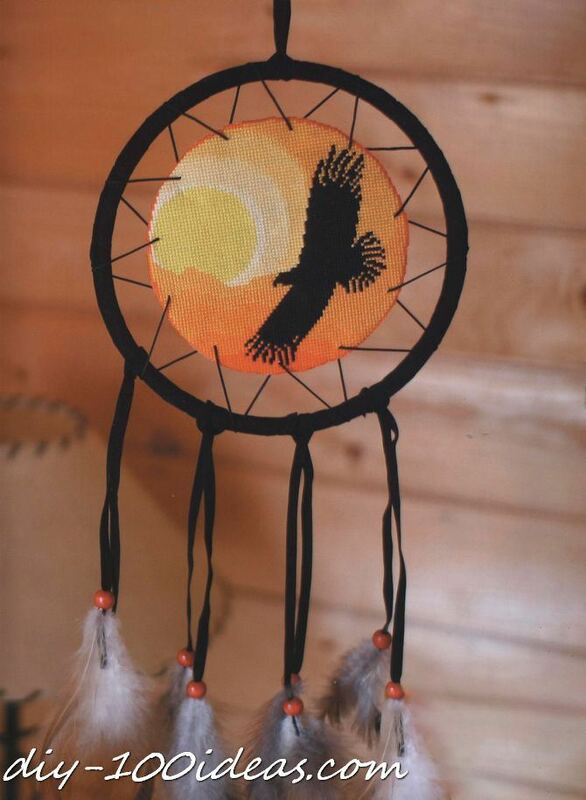 Whether you believe that the dreamcatcher has these powers or not, when used properly, it can be a wonderful charm of positive energy and a way to honor the metaphysical traditions of Native Americans. It can also have a subconscious effect on your mind, which can lead to more restful nights. Either way, they are a beautiful symbol worthy of respect. 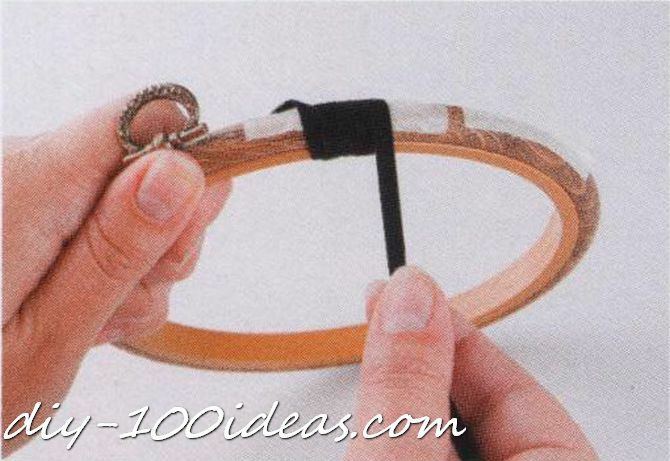 Wrap a hoop with ribbon. 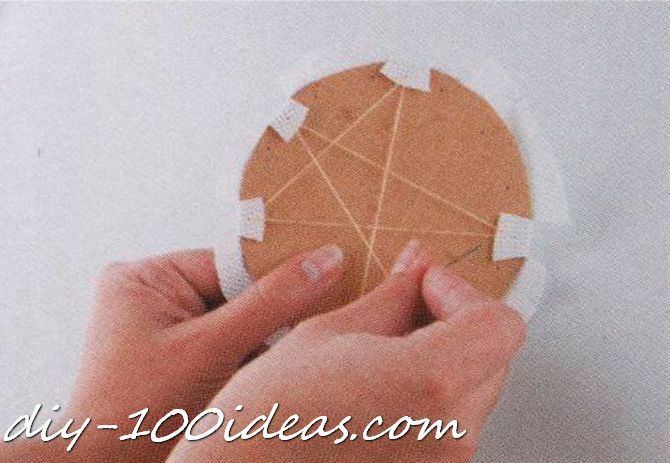 Cut embroidery, fold over the edge of the fabric and sew it. 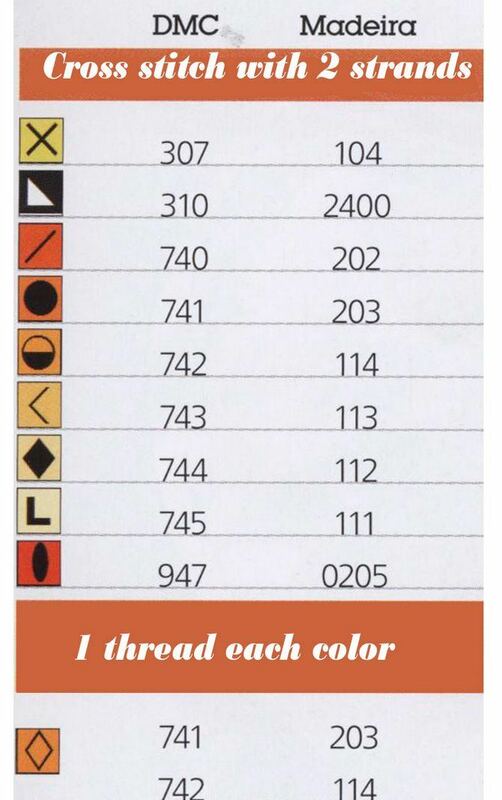 Cut four lengths of ribbon that are twice the length that you want. Loop these around the bottom end of the outer hoop. String a beads and feathers and make sure to tie a knot at the end so the wont fall off. 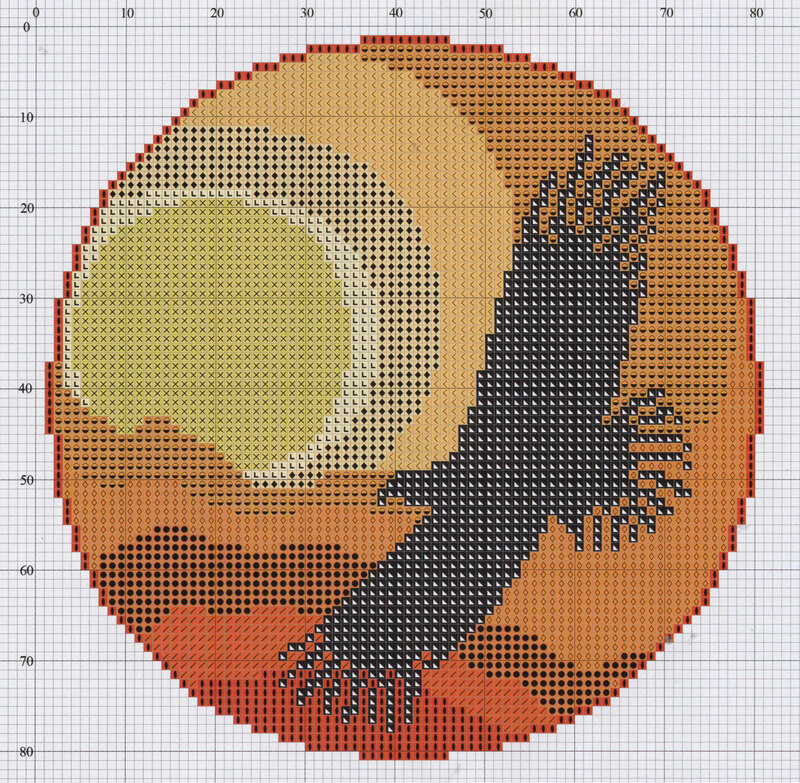 This entry was posted in DIY, Free Cross Stitch Patterns, Home Decor and tagged cross stitch, diy, free, pattern. Tried downloading…. very complex… Any way I can get it thru the mail? or on my email? We sent you an email. Thanks for your feedback. 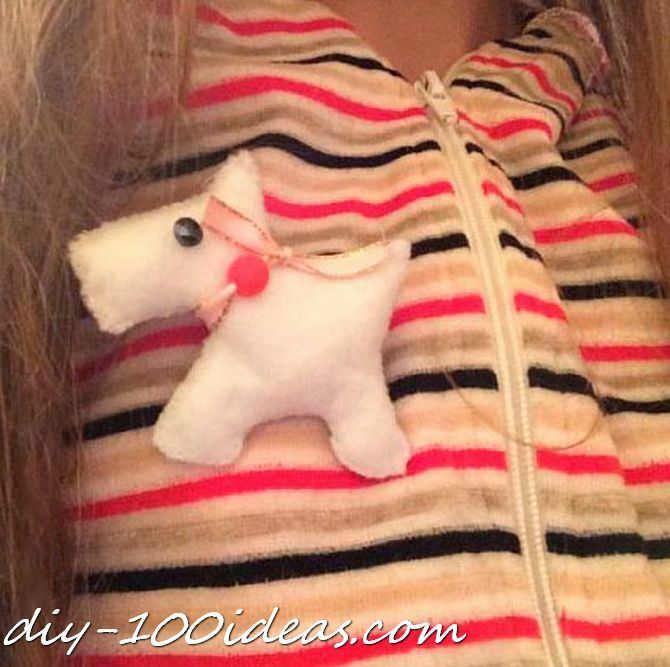 This cute Scottie dog felt brooch is handstitched and is lightly stuffed with polyester filling.